Watercolor on 140 lb. Arches Paper. 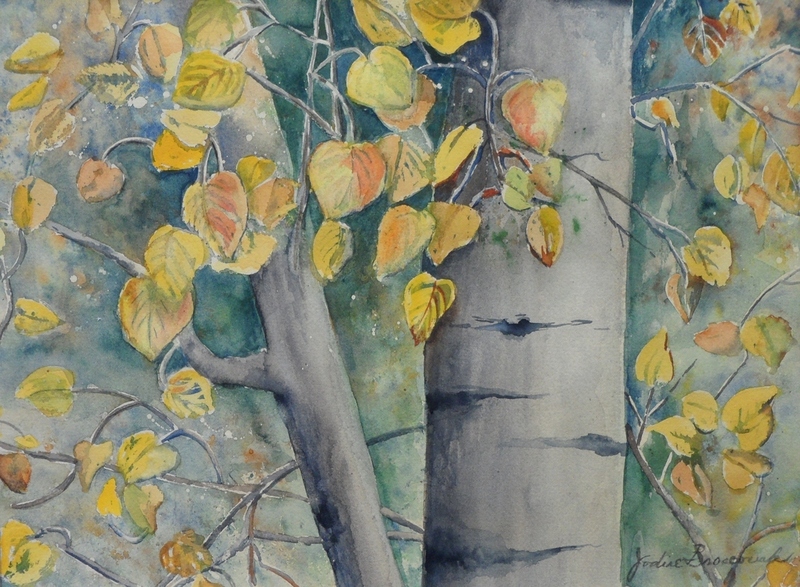 Close up of Aspen tree in fall. Original is priced unframed. Contact artist for options.